Russia’s intervention in Syria in September 2015 caught the world by surprise. Since then Russian bombers, fighter jets, drones, warships and special forces troops have helped turn the tide of the brutal Syria civil war in favour Bashar al-Assad’s government in Damascus. As the war enters its endgame, Tim Ripley’s new book, Operation Aleppo, looks at how the Russian intervention unfolded, and its implications in the Middle East and further afield. 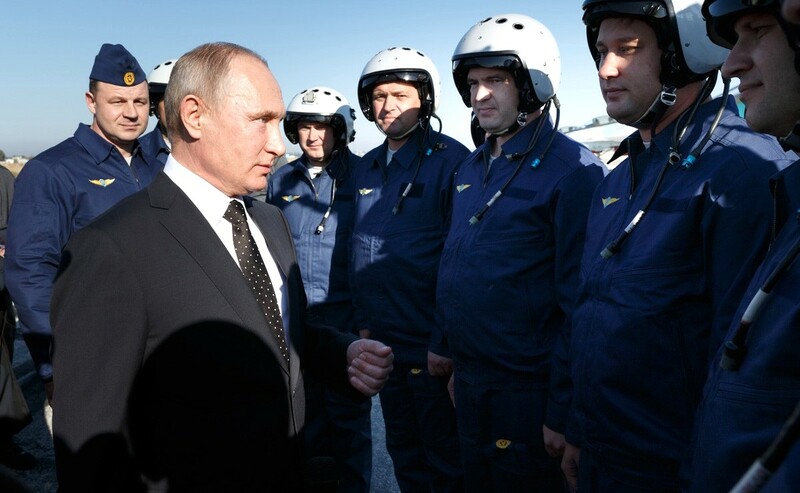 Vladimir Putin at Khmeimim air base in Syria in December 2017. 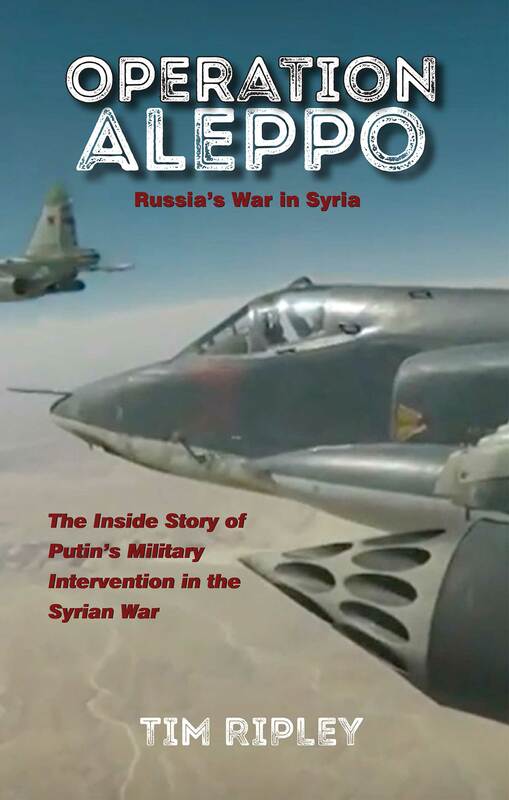 Drawing on a wide array of sources – including satellite imagery of Russian forces in Syria, as well as live online monitoring of Russian, Syrian and Iranian aircraft and ship movements – Operation Aleppo gives an unprecedented insight into the most ambitious Russian military campaign since the Soviet intervention in Afghanistan in the 1980s. Tim Ripley has reported on the Russian intervention in Syria for The Sunday Times, The Scotsman, Jane’s Defence Weekly and Jane’s Intelligence Review since its start in 2015. He has travelled extensively across the Middle East, reporting on conflicts in the region for more than 25 years. Operation Telic by Tim Ripley is available in paperback as well as for Kindle. Go to amazon.co.uk or Amazon.com and search for “Tim Ripley Operation Telic Paperback”.